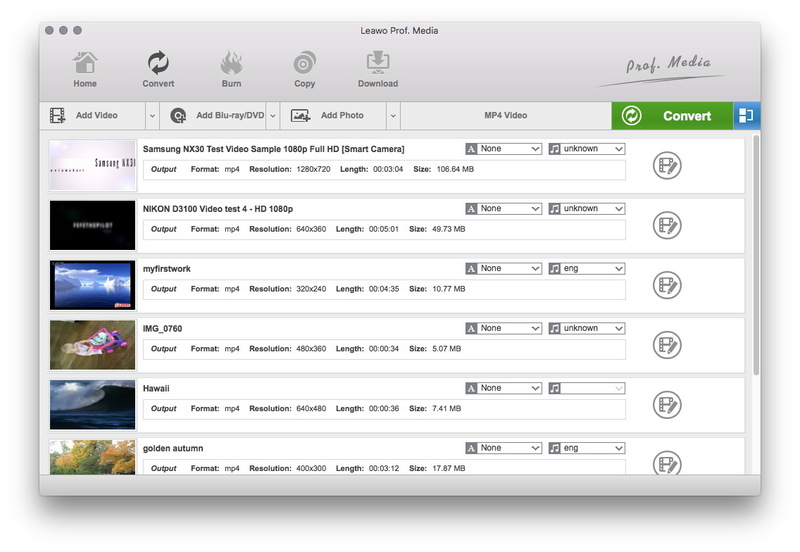 How to Convert MPEG to MP4 on Mac? If you have some MPEG files and you want to watch these MPEG files on your iPod, Apple TV, PSP, PS3, Archos, iRivier, iPhone, iPad, etc., you will need to convert these MPEG files to MP4 format at the very first. This guide shows you how to convert MPEG to MP4 on Mac by using an MPEG to MP4 converter. 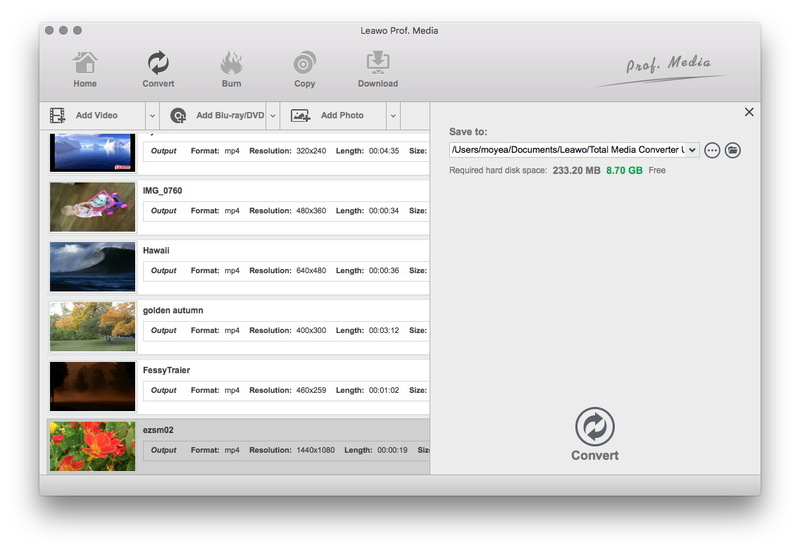 To convert MPEG to MP4 Mac, you can try Leawo Video Converter for Mac, a professional media converter suite that could convert videos and audios on Mac between 180+ formats, including: FLV, MP4, AVI, WMV, VOB, MKV, MOV, M4V, MPEG, M2TS, etc. It could perform as an MPEG to MP4 converter Mac for easily converting MPEG to MP4 format on iMac or MacBook that runs OS X 10.6 or later. Click the download icon below to download and install this MPEG to MP4 converter Mac on your computer, and then launch this Mac MPEG to MP4 converter to convert MPEG to MP4 on Mac. Note: If you are Windows users, you should switch to its Windows counterpart- Leawo Video Converter for converting MOV to FLV on Windows. Under the “Convert” module, click the “Add Video” button or directlry drag source MPEG video files that you’ve stored on your Mac into this MPEG to MP4 converter for Mac. You could get all information on the left processing list, import multiple MPEG video files for batch MPEG to MP4 conversion, edit loaded MPEG video files, add 3D effect, etc. After importing source MPEG files, click the drop-down box right before the big green “Convert” button and then select “Change” option on the drop-down panel to enter the Profile window for output format setting. Open “Format > Common Video” group to select MP4 as output format. Optional: If you’re not satisfied with the video and audio parameters of preset MP4 format like video codec, bit rate, aspect ratio, quality, frame rate, audio codec, audio quality, audio bit rate, sample rate and channel, you could reset them. After setting output format, re-open the drop-down box and then select “Edit” option to enter the Profile Settings panel. On the Profile Setting panel, you could freely set the parameters. Finally, click the bottom “Convert” button of the sidebar to start converting MPEG to MP4 on Mac. Alternatively, you can make use of HandBrake for Mac to convert MPEG to MP4 on Mac. HandBrake is a tool for converting video from nearly any format to a selection of modern, widely supported codecs. It is free and open source. Check out the guide below to learn how to convert MPEG to MP4 on Mac with HandBrake. Before the step-by-step guide on how to convert video on Mac with Handbrake, make sure to download Handbrake on your Mac operating system and get it installed. Kick off HandBrake for Mac, and click “Source” button on the sub-menu to add source MPEG video that you’d like to convert. 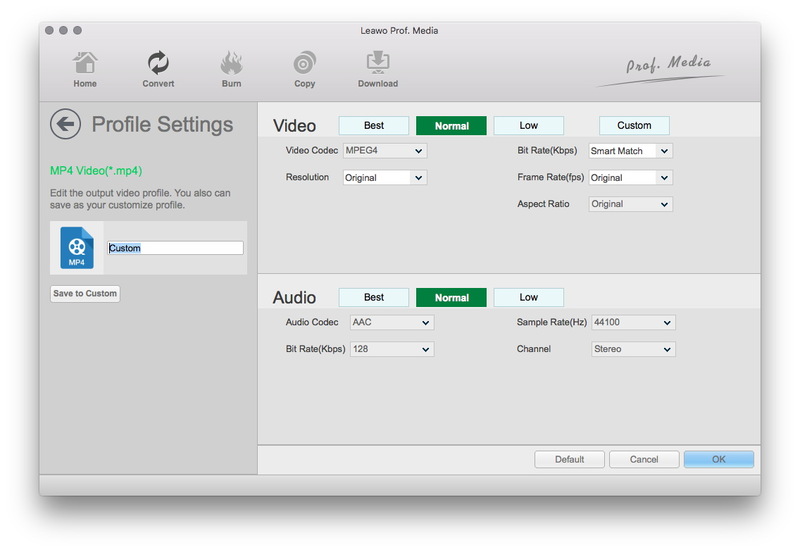 HandBrake is preset with MP4 and MKV output formats. To convert MPEG to MP4 Mac, you need to choose “MP4 File” under Format box. At the same time, you need to specify an output directory under Destination box. Default settings can be a nice choice for new beginners, but if you want more control over your output file, the sector is the way to go. You can adjust video filters, video, audio, subtitles, chapters, etc. to make the output videos more personalized and suitable. After finishing all the settings, go ahead to convert MPEG to MP4 on Mac by simply pressing “Start” button. After the encoding is finished, you can import the converted video to iPad, iPhone, PSP, etc for playback on the move. Supported input file formats video and audio file of various kinds such as MPEG, MP4, WMV, MOV, AVI, AAC, MP3, etc. Handbrake can process most common multimedia files and any DVD or BluRay sources that do not contain any kind of copy protection. 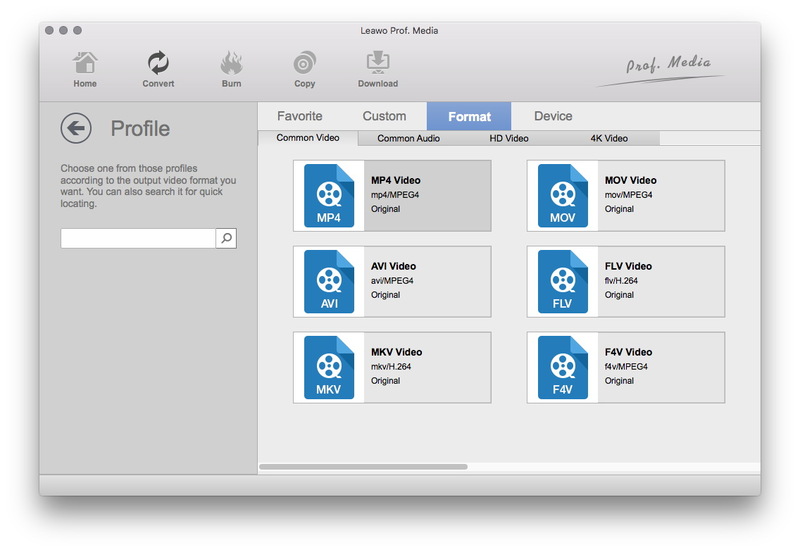 By comparison, we clearly know that if the output format is MP4 or MKV, we can turn to HandBrake to perform video conversion task as HandBrake is totally free, however, if the output format is others, we’d better switch to Leawo Video Converter for Mac.